Valentine day is approaching soon and you might be struggling with valentine gift for her or him. Exchanging a valentine gift is the trend followed since so many years. This is the most possible way to reach to near one’s heart. Also it is the coolest way to propose a girl friend or boy friend. 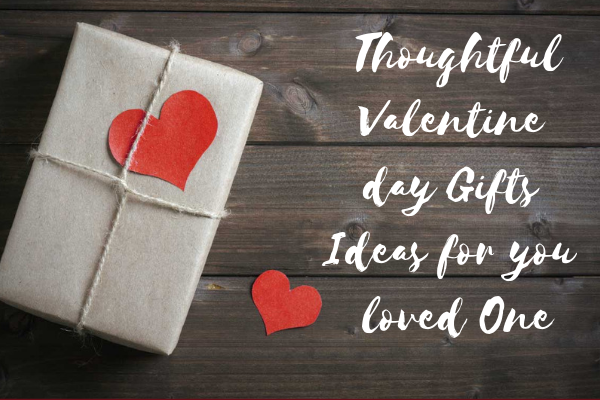 We come across to so many valentine gifts and found some gifts which are tried and tested for send valentine’s day gifts. Some of the gifts list are written down here. Hope you will get good idea to pick the right valentine gift for your partner. Valentine day card kit is a simple but inspiring gift for the whole family. You can use this gift to give your children, your spouse and to your grandparents. Valentine isn’t just celebrated for the romantic couples; it is celebrated to express love for your family, for your parents and for so many. So here you can include a valentine day card kit like heart cut out, greeting card, crayons, and some decorative supplies to handcraft the card romantically. You can make a timeless and classic flower vase to gift love one on the romantic day of the year. Here you need a cylinder shaped vase covered with the matching fabric of the flowers. You can use vashi tapes and some ornaments to decorate the flower vase. Also opt for heart shaped stickers to give the romantic touch. Now insert a long stemmed flowers bunch inside this beautiful flower vase and give it to your valentine. Or else look for a premium collection of flowers bouquet in vase to buy from online gifts delivery shop. You can make gift a little bit romantic by adding a basket filled with romantic movie treats. Fill the container a romantic movie CD, champagne bottles, wine glasses, pop corn and snacks to perk up the mood for valentine night. Also add some favorite treats of candies and chocolates to enjoy both of you. Plan to set up the movie night in the open terrace with blanket and champagne. Giving a romantic notes is even more exciting and thrilling experience. The notes will work in the days when your girl will feel lonely, when your boy will miss you. Get envelopes of different color and address your special note on this like “open it when you are feeling lonesome”, “open it when you have no work”. Address the notes on the envelope and write your feelings in the page hidden under this envelope. Tie all these envelopes with one ribbon and give it to her. Your thoughtful gift is ready in just efforts of few minutes. Sending edible gifts is the delighting option to win the heart of food loving partner in your life. What you need to do is the plain cardboard paper to make a goodies bag. Now fill this bag with the store bought or homemade chocolates, candies and various other sweet treats. Pop up your love thought heart shaped lollipops. Try to buy some favorite sweet treats of your partner and fill into this goodie bag. Tape a heart shaped cut out on the bag and cover the mouth with wooden clip. If you have still not found the way of showing your love, valentine day gift basket is a good choice. Take a look at the range of valentine day gift baskets full with favorite treats of your partner. You can easily mix and match and buy a gourmet basket full with suitable treats. Godiva basket, fruits basket, tea basket, wine and spa basket, cookies basket, there are limitless range of romantic gift basket ideas personalized in romantic theme. This is the ultimate and last minute gift to buy to make someone’s day extra special. Some gifts are DIY, some are store bought but at the end you will see your loved one smiling throughout this day. The crafts are just not meant for the lovely partner, it is also meant for the family members and friends very near to heart. So if you got to know about other ideas you can comment and share it with us.